My baby girl is growing so fast…she started eating cheerios today! And she loves them! And that reminded me of a clever Cheerio-storage method I’ve seen at the church nursery. 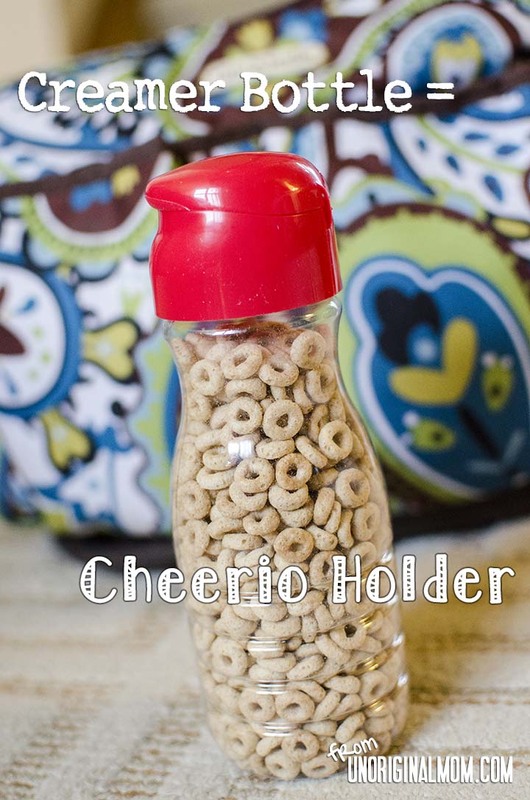 The lid of the creamer bottle is the PERFECT size for dispensing cheerios a few at a time. 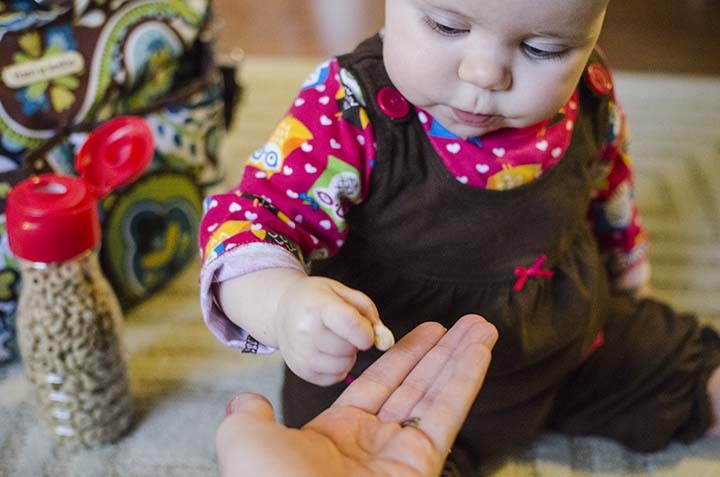 No need to worry about little hands spilling an entire container of cheerios onto the floor…or dirty little fingers digging into an entire bag of them…or little feet stepping on the baggie and crushing them all! This is a Coffee-mate creamer bottle, but I think any brand would probably work. 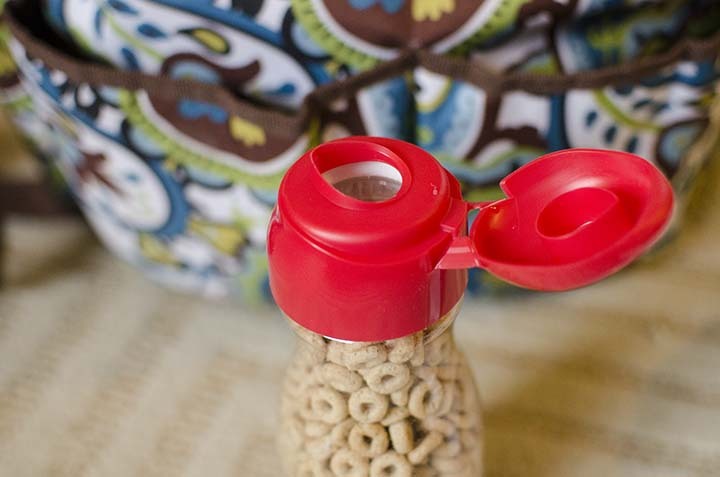 “Upcycling” a creamer bottle is a great way to store any small snack for on-the-go snacking: small pretzel rods, goldfish crackers, etc. 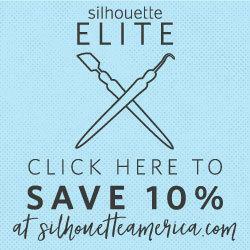 This will be a staple in my diaper bag from now on! Do you have any other uses for upcycled creamer bottles? What a great idea! I imagine manipulating the lid and tipping the container are both great helps in learning motor skills. Clever! I wanted to invite you to join my How To Tuesday link party, if you haven’t already joined . It would be wonderful to have you! Love this idea! Thanks! And your daughter is an absolute doll!! I can’t believe our little ones are ready for cheerios already! I’m so going to try your creamer idea. Now… to track down someone who drinks it, lol! Now this is a fantastic idea! I don’t drink coffee, but I’m tempted to get some creamer just so I can reuse the container. I’m going to have to look through our containers to see if there’s an alternative I can use.